Kithulgala is ideally located as a stop-off between Colombo, Kandy and the Tea Country. This beautiful landscape is home to jungle, tea and rubber plantations and spectacular mountains looming in the distance, and was the backdrop for the Academy Award-winning ‘The Bridge on the River Kwai’ which was filmed on the Kelani River – although nothing remains now except the concrete foundations for the bridge and, supposedly, the submerged train cars that plunged into the river in the climactic scene. 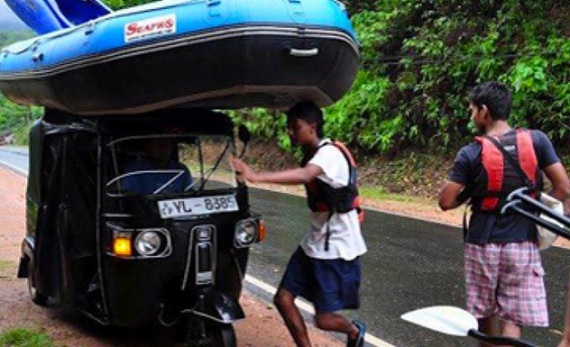 A few kilometers upstream are the bases from which white-water rafting expeditions take place – Kithulgala is the best place to go in Sri Lanka for those seeking out adventure travel. You can also go canyoning, trekking and canoeing on the river. Sinharaja Rainforest is within reach from Kithulgala – trek through this mysterious land of tropical plants and stay on the look-out for colorful birds, exotic butterflies and a variety of other creatures. The 1957 World War II film by David Lean ‘The Bridge on the River Kwai’ (based on the novel) was mostly filmed at Kithulgala. Manoeuvre through rapids of varying intensity, trek through the forest, slide down rocks and jump from the top of small waterfalls. 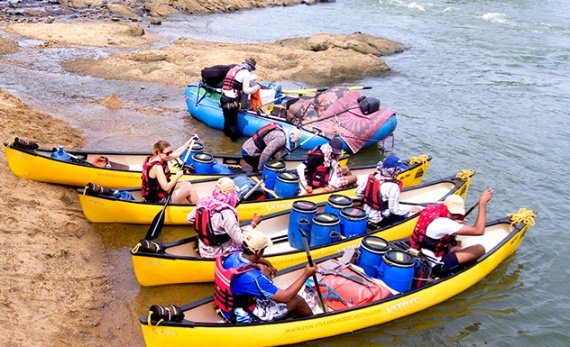 Kayak and camp along Sri Lanka’s longest river, the Mahaweli and explore the island’s secluded wilderness and witness its beauty from a new light.